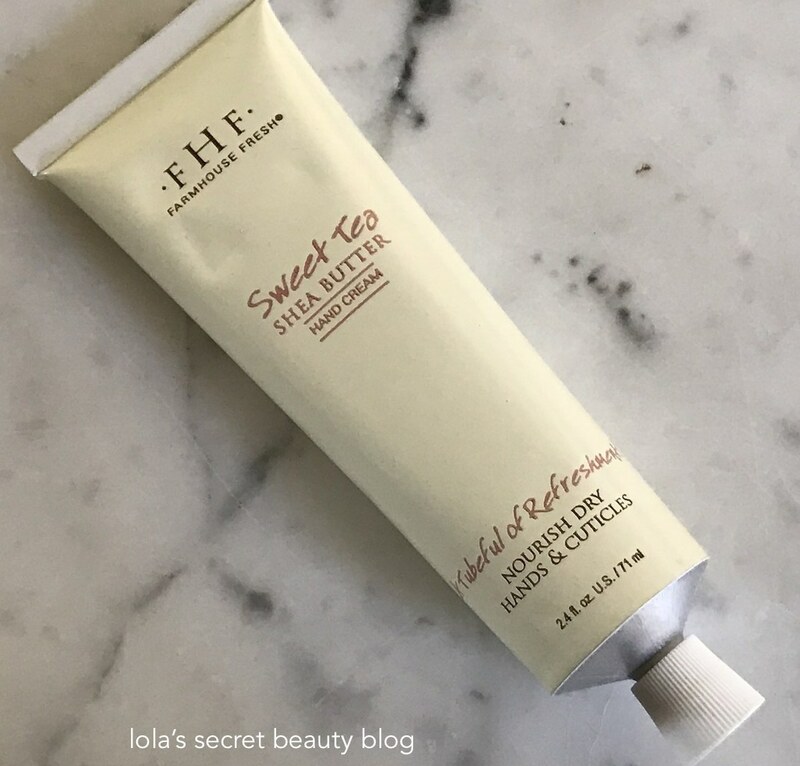 I continue to be thoroughly enamored of Farmhouse Fresh creations, and their Sweet Tea Shea Butter Hand Cream is an utter delight to use. It is a thick and rich Shea Butter based cream, and yet it sinks into the skin without leaving behind a greasy residue. It has a delightful peachy-tea aroma, that smells edible, and it leaves the skin soft, smooth supple and exceedingly moisturized. 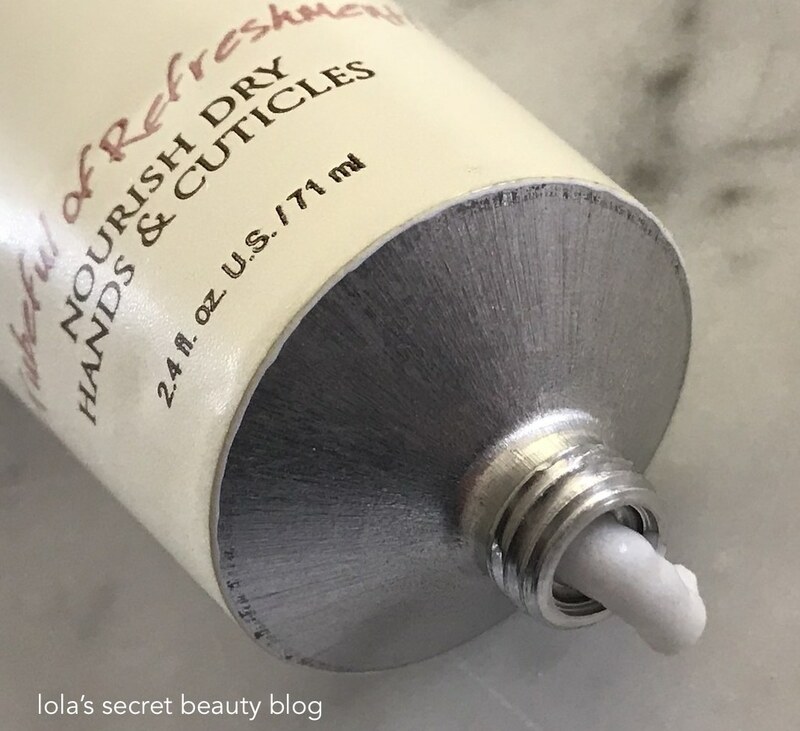 Unsurprisingly, it's truly a delight to use, and I find myself reaching for it several times a day because it is such a treat to the skin and the senses. This Shea Butter whip is a tubeful of refreshment! Soften your hands in mouth-watering delight! Scented like a southern sweet tea with peach, ginger, and white tea - a light herbal treat. This cream is thick and luscious but leaves no greasy feel on skin. 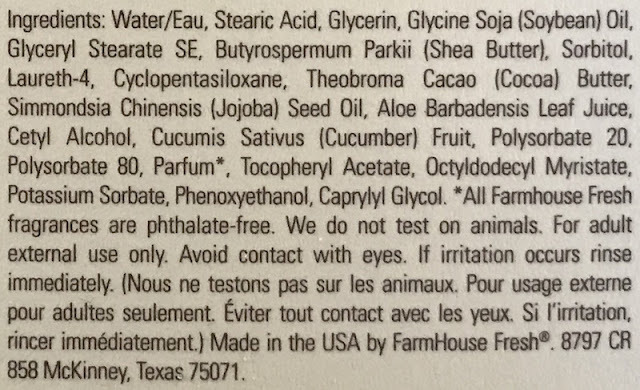 Overall Assessment: If you haven't tried anything from Farmhouse Fresh, this hand cream is a great place to start. $15.00 for 2.4 oz. tube from Farmhouse Fresh (Unaffiliated Links). If I wasn’t trying to use up the yummy Whoopie Cream Shea Butter Hand Cream, I would have loved to try this one. The scent sounds divine! This one is definitely worth trying once you have finished up the Whoopie Cream– which smells so delicious! I think that you would really love this one, and yes the scent is divine! 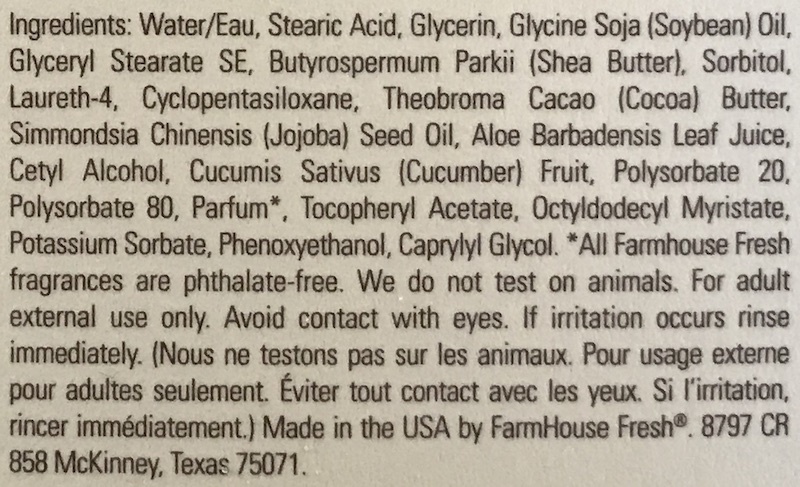 I wasn't sure if the fragrance of this would be good for me. I love everything FHF so I should just trust it. I don't find the fragrance overpowering, but you would have to smell it to see whether it is too strong for you. FHF is such an amazing brand! FHF hand creams are among my all time favorites. The formula is so wonderfully nourishing! Mine too, they really never disappoint! The formula really is wonderfully nourishing! I like that their products are CF as well. I think that you would really enjoy this scent a lot! FHF is such a pretty brand! Agreed, and their products are first rate! This sounds like it would be amazing. I'd have a hard time deciding if I wanted to buy one for myself or as a gift for my mother-in-law. 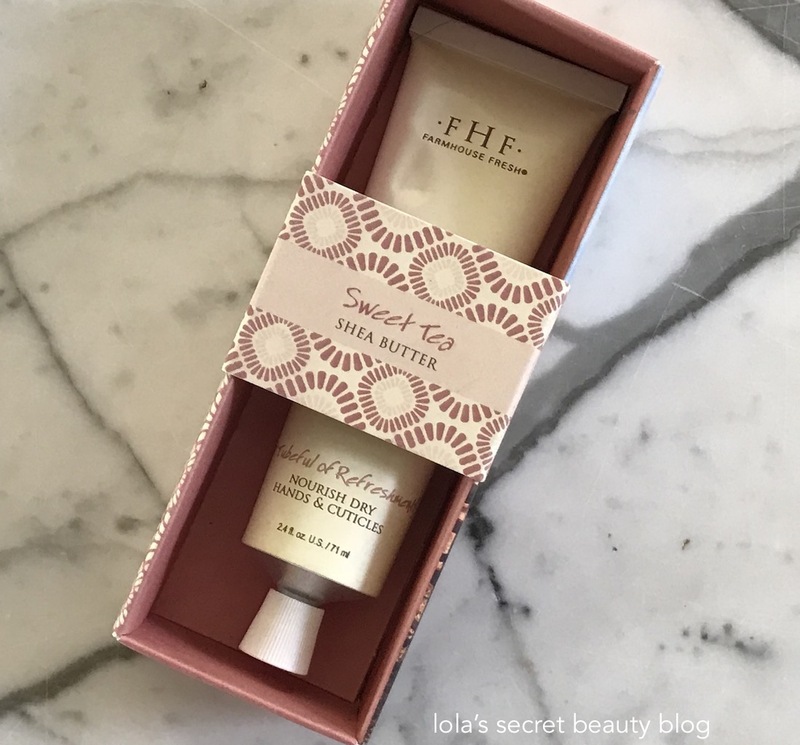 It is really a lovely hand cream, you just can't go wrong with their hand creams! If it's FHF it's fabulous! I got hooked on real southern sweet tea when I visited Savannah, Georgia! AGREED! They are one of the few brands that really can do no wrong, as far as I'm concerned! Sweet Tea is delicious!